They say that eyes are the windows to your soul. So, would you ever have a window that lots of people look through — without a decent set of curtains? 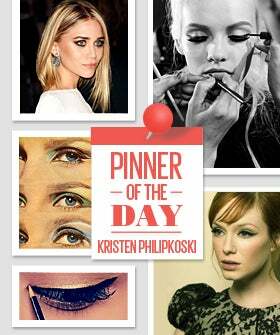 Kristen Philipkoski knows what we're talking about, and she has an entire board dedicated to beautiful eyeliner. Whether you're a lipstick lady or a bronzer babe, this board will probably inspire you to bust out that tube of liquid liner and start practicing a perfect swoop.